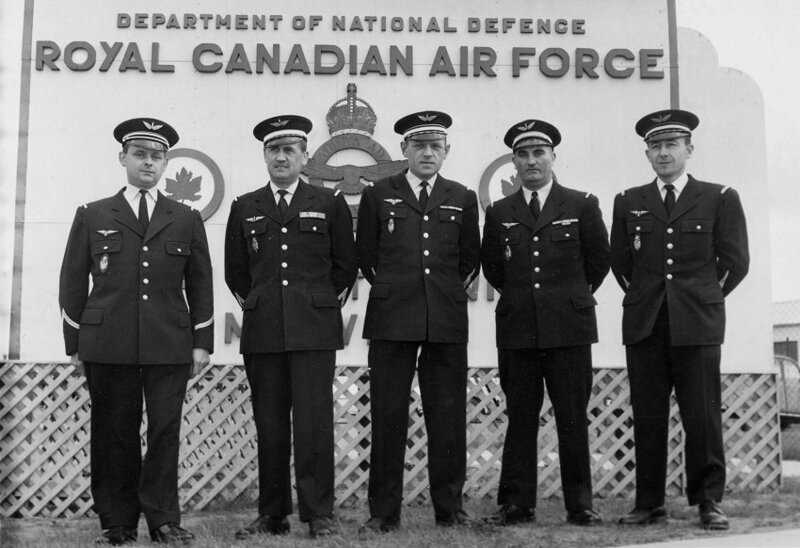 Right end of the AFP Admin building - June 2004. 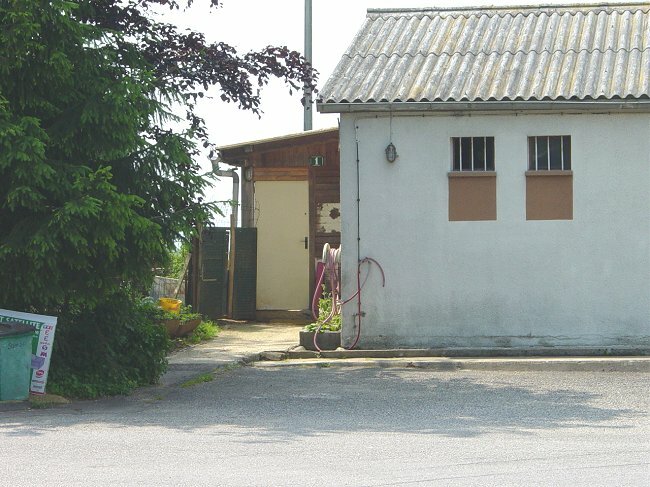 Note the building identification number (green #1) to the right of the door. 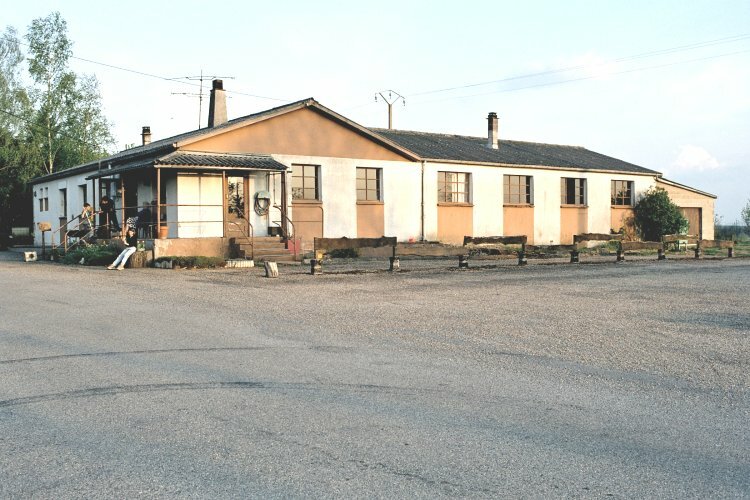 Front view of the AFP Admin building - May 2004. 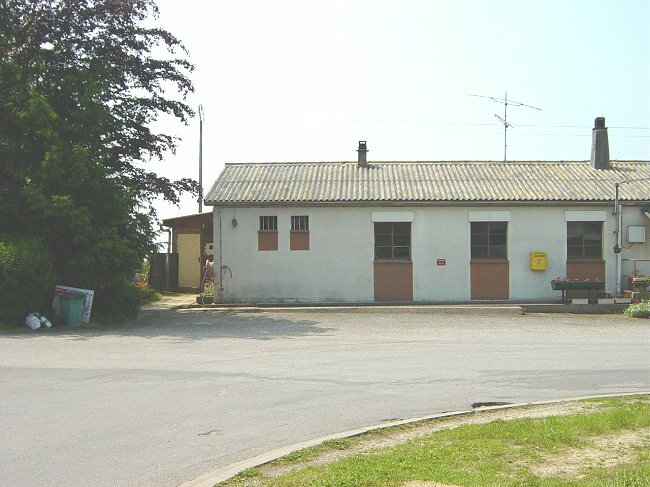 Right end of the AFP Admin building - 1 June 2003. 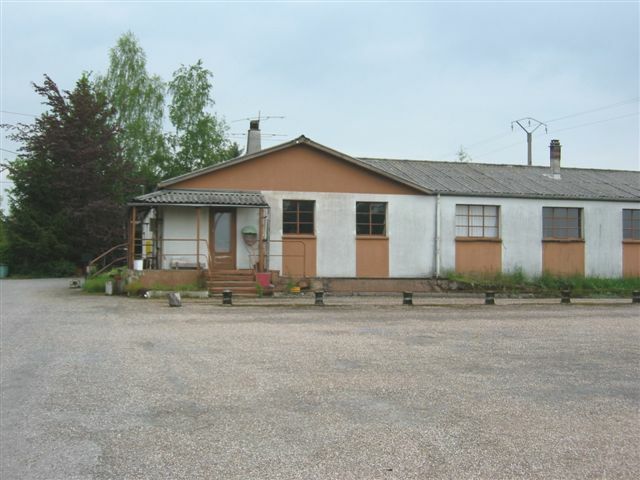 Left end of the AFP Admin building - 1 June 2003. 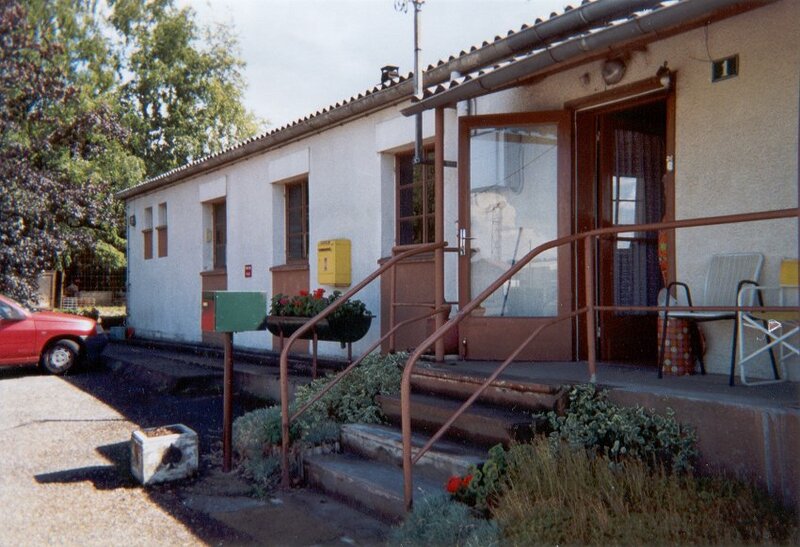 Closer view of barred windows on the old cells - 1 June 2003. 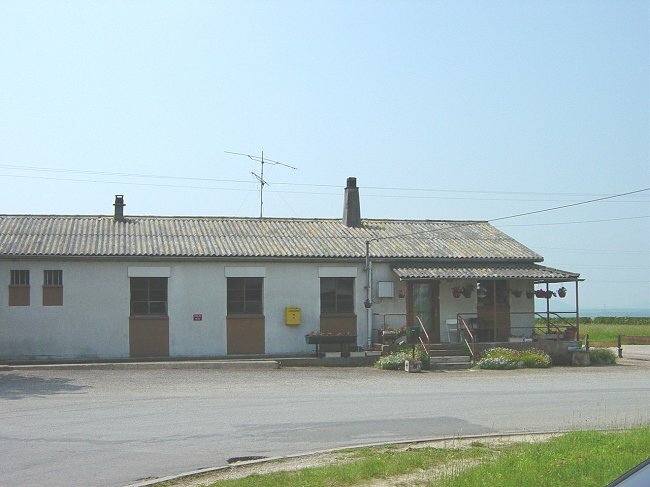 View of the AFP building - April 2003. 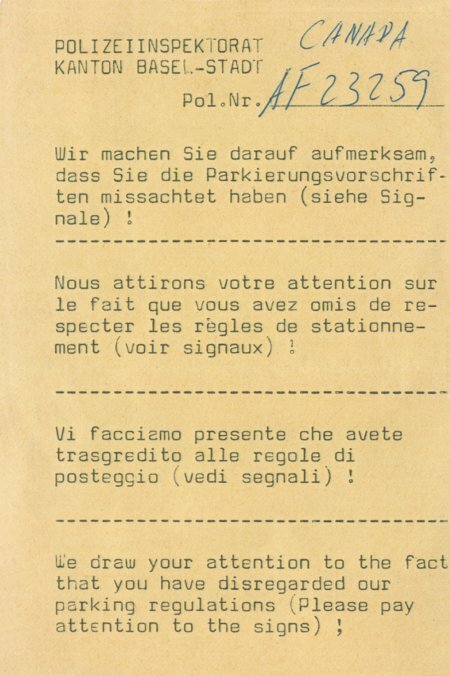 Parking ticket issued in Basel Switzerland - October 1966. 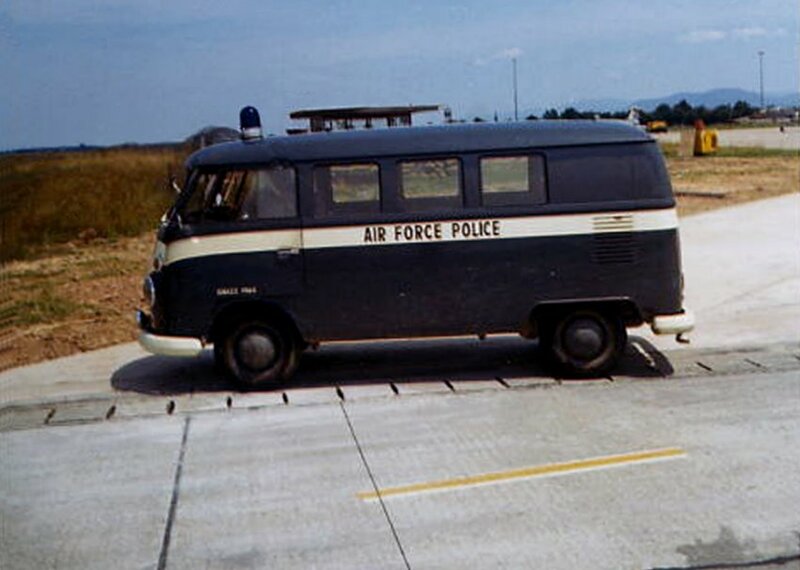 An Air Force Police VW van on the airfield - June 1966. 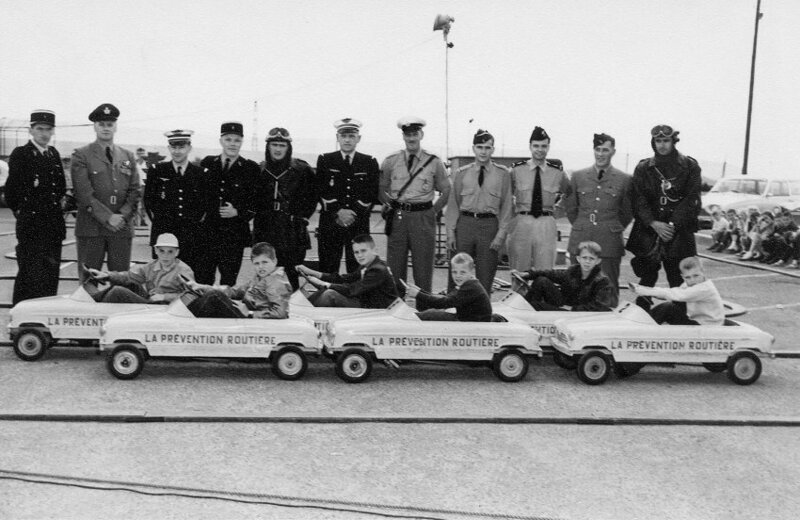 French Gendarmes at Marville - June 1963. 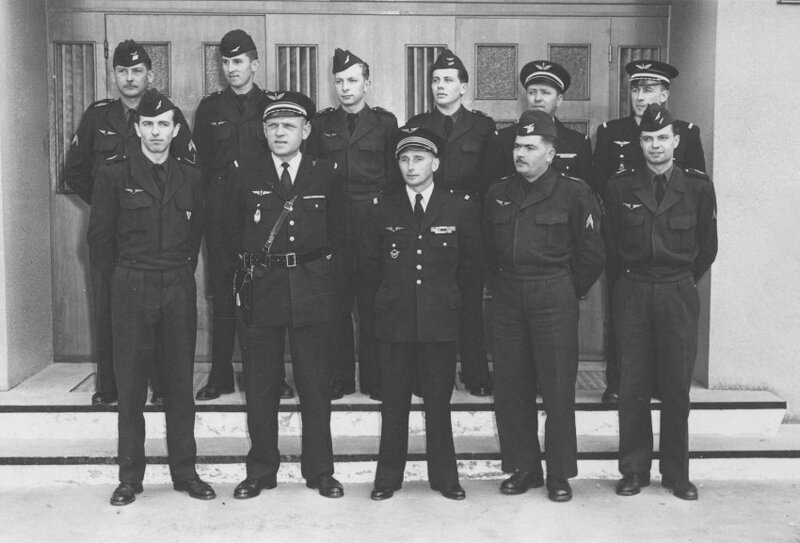 (L-R) - Gendarme Van Vyvg, Gendarme Balland, Chef Olaire, Gendarme Mareshal, Gendarme Strugala. 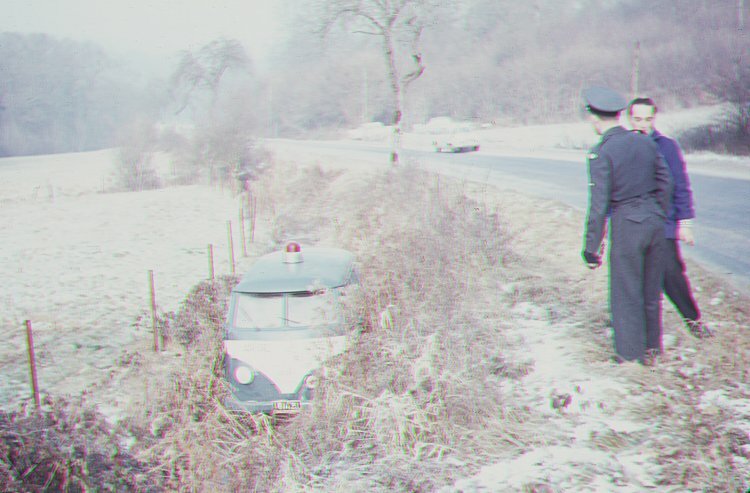 Military Police vehicle off the road and in a ditch near Marville - November 1962. 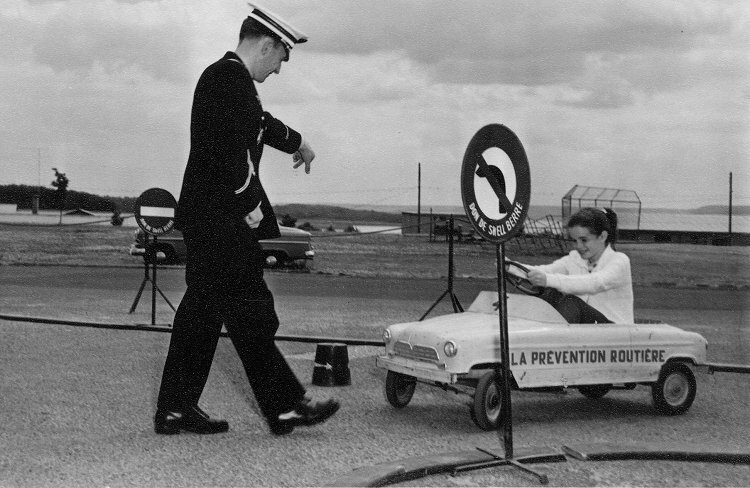 Accident prevention-traffic training for young Canadian children - July 1962. 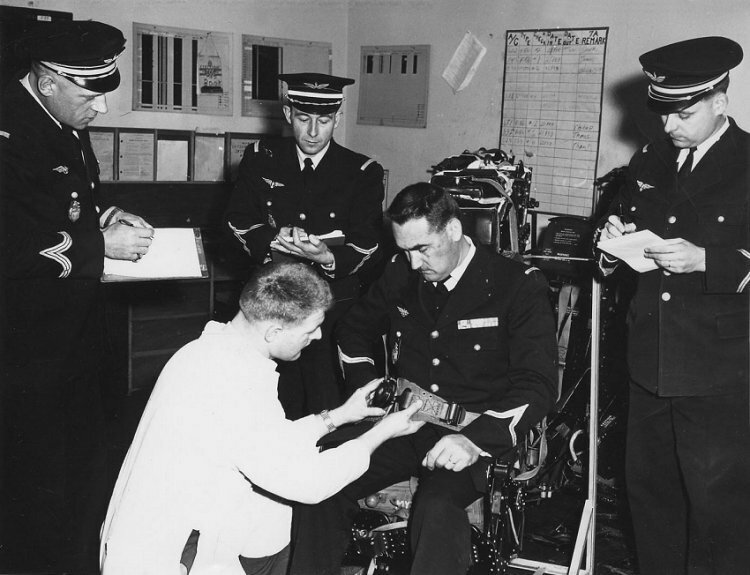 Ejection seat training for French Gendarmes at Marville - October 1961. 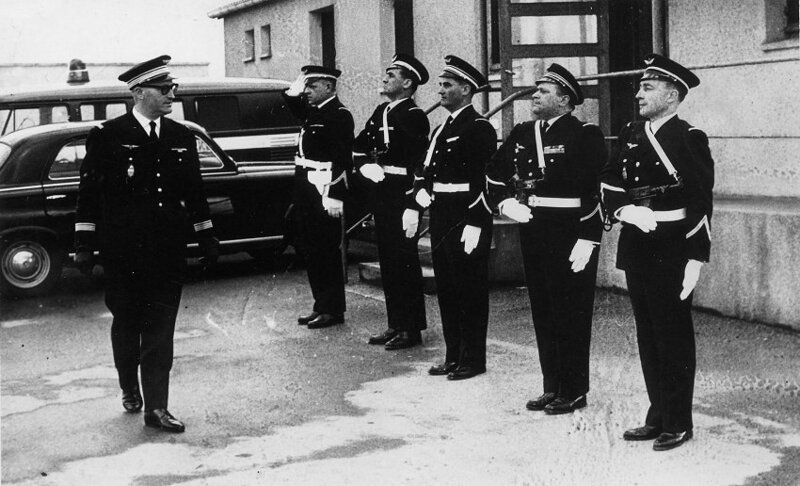 French Gendarmes at Marville - May 1960. 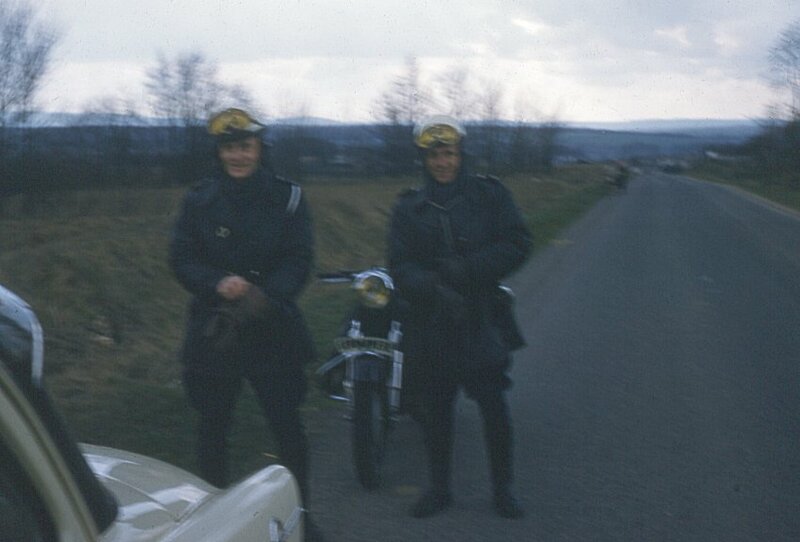 French Motorcycle Gendarmes - February 1960. 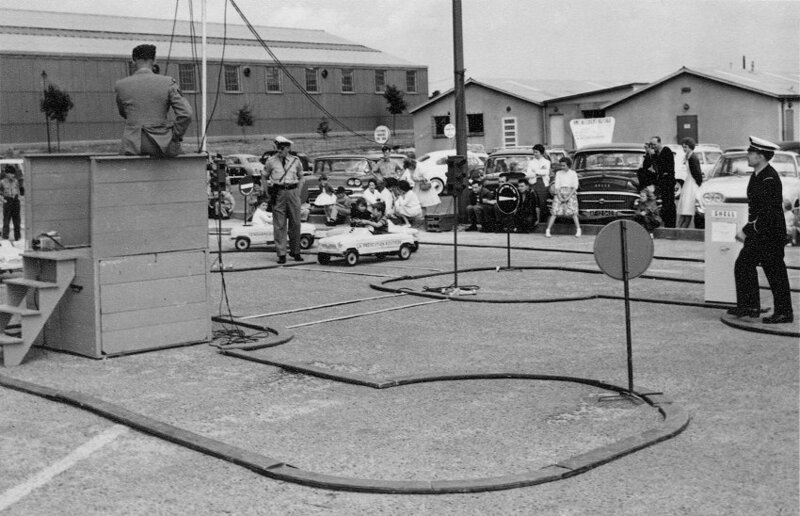 Car Compound Pass - 18 August 1957. 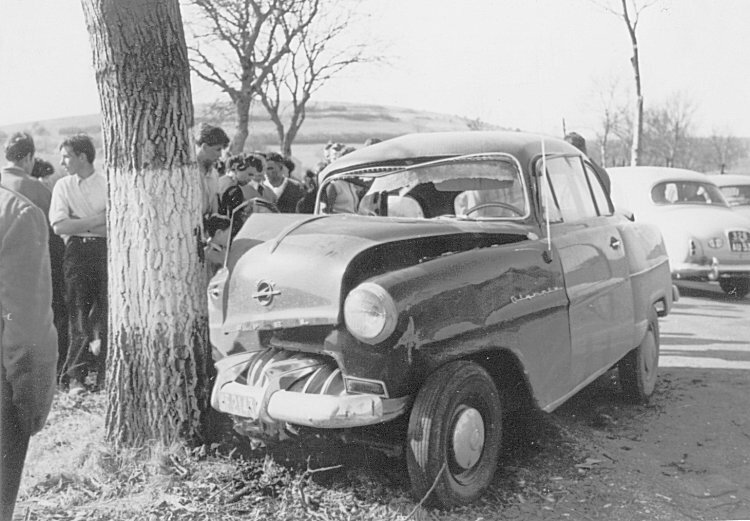 Another RCAF vehicle decides to tackle a French tree - August 1956. 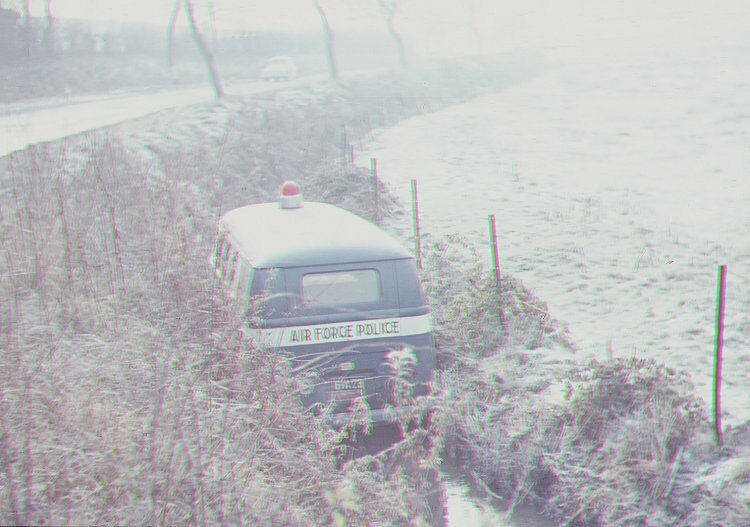 A closer image reveals that this vehicle is from 2 Wing - August 1956. 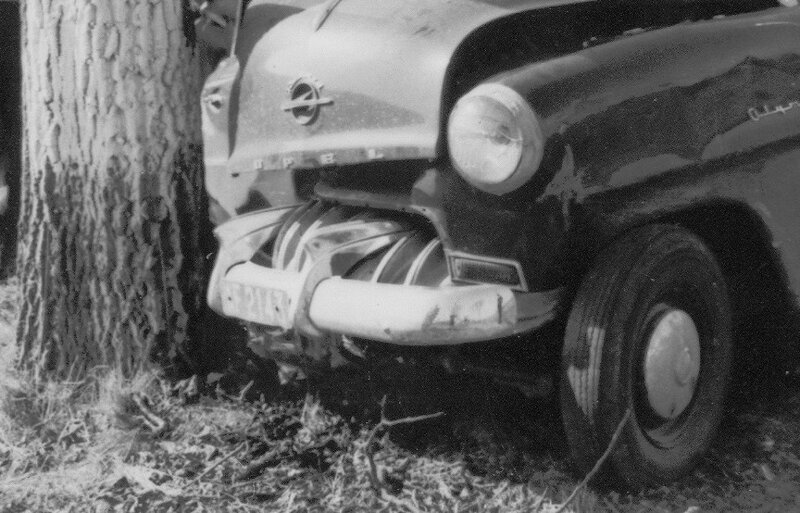 Wrecks of automobiles at the 1 Wing car compound - August 1956.